The area included in this Plan for land use and fiscal evaluation is served by three school districts: Dublin City Schools, Hilliard City Schools and the Jonathan Alder Local Schools. District boundaries rarely follow municipal boundaries or even property lines, making a clear definition of school service areas difficult for some residents and homebuyers. Fiscal operations of the City of Dublin and the various school districts are completely separate with different taxing structures and boundaries. As a result, the ability of the City of Dublin to positively affect the fiscal futures of the schools is largely limited to the control of land uses within its own corporation limits. Growth along the periphery of Dublin, primarily to the north, south and west will be important to the future of the three districts. Approximately 82 percent of land within the city is served by the Dublin City Schools, while a significant part of southwest Dublin lies within the Hilliard District. Portions of the planning area in potential growth areas to the west of Industrial Parkway are within the Jonathan Alder District. With recent annexations, the Columbus Public Schools serves a developing area just south of Dublin along the Hayden Run corridor. As the City of Columbus annexes and develops additional lands, new development will be served by the Columbus Schools under the Win-Win Agreement that was finalized in 1986 and renewed in 1992,1998, 2004 and 2010. This agreement between the Columbus Public Schools and 13 different suburban school districts has allowed Dublin students living in Columbus to remain within the Dublin School District. Annexations to Columbus since 1986 have been served by the Columbus Public Schools, allowing non-contiguous areas to become part of the Columbus School District for the first time. In addition to the various school buildings, the district includes a school administration office at 7030 Coffman Road and a transportation center at 6371 Shier Rings Road, which is a joint facility with the City of Dublin Fleet Maintenance Center. District enrollment for the 2011-12 school year was 14,814 students: 6,816 elementary, 3,420 middle school and 4,578 high school students. An additional 64 students attend Tolles Technical School south of Plain City on U.S. 42. The District has identified a deficiency in capacity for the elementary and high school student population. Continued growth along the periphery of Dublin (particularly to the north and west) may have substantial impacts on the school system. Growth trends in the City of Dublin and adjacent township areas indicate a need to address future capacity issues. The 2:1 ratio between elementary students and middle school students continues to indicate a significant need for additional classrooms and schools as younger students progress through the school system over the next 10 years. Based upon school district projections, student enrollment will exceed 16,000 by 2021.It should be noted that much of the projected residential development within Dublin is expected to have minimal impact on general enrollment numbers for the school district due to the location of district boundaries and because of anticipated demographic trends. More importantly, areas to the north and west of Dublin in Jerome Township will be the primary areas of student enrollment growth for the district. Working cooperatively with adjacent municipalities and townships to balance residential growth with revenue-generating uses will be important to managing the future fiscal health of the Dublin City Schools. Given the projected enrollment numbers, it is likely the school district will need additional facilities in the future. The Hilliard School District encompasses nearly 60 square miles in western Franklin County and Madison County and stretches from SR 161 on the north, I-70 to the south, the Scioto River on the east and the Big Darby Creek on the west. The school district includes the City of Hilliard and portions of Columbus and Dublin, all of Norwich and Brown Townships, and portions of Washington, Franklin, and Prairie Townships in Franklin County. With such a large district in a growing metropolitan area, and given the differing physical geographies of district and municipal boundaries, the Hilliard City Schools will face a number of challenges. Annexations by the City of Columbus in the Hayden Run corridor are separating portions of the school district within Dublin from the majority of the Hilliard service area. 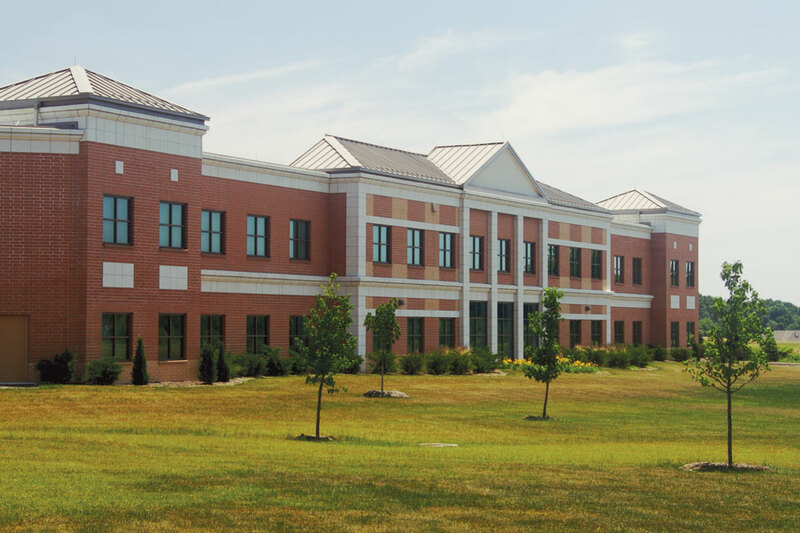 Due to residential growth within developments such as Ballantrae, Washington Elementary was the first Hilliard City School building constructed in Dublin, completed in 2007. While a long-standing relationship has been established between the Dublin City Schools and the City, recent growth into the Hilliard School District has brought to light the need to develop and foster new cooperative relationships for the benefit of all of Dublin’s residents. Administration offices are located at 5323 Cemetery Road, and the Support Services Facility is at 2140 Atlas Street in Columbus. District school buses are parked and serviced at the Transportation Facility at 4970 Davidson Road. The total enrollment for the Hilliard School District during the 2011-12 school year included 15,689 students: 7,085 preschool and elementary, 1,166 sixth graders, 2,370 middle school and 4,769 high school students. 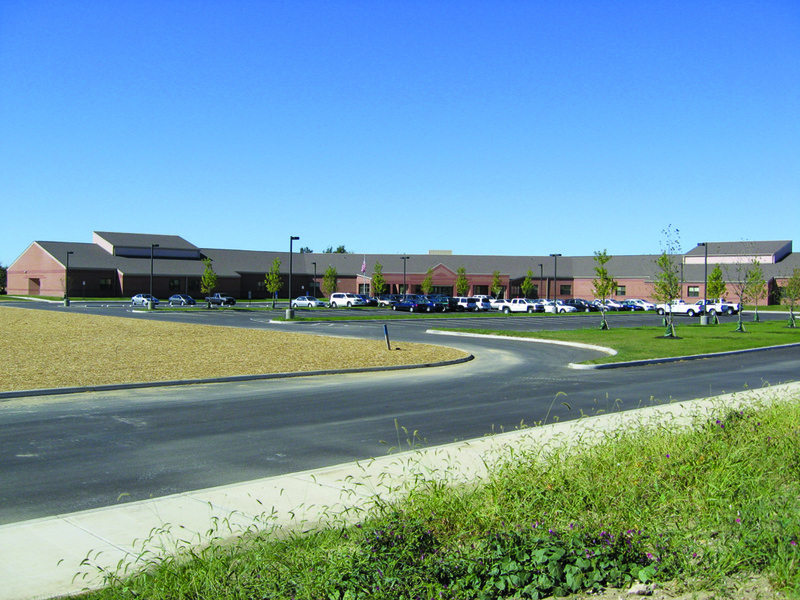 The construction of the District’s third high school, Hilliard Bradley High School, in 2009 has helped address a previous capacity issue at the high school level. Hilliard City Schools are in a growth area of Franklin County, which will mean continued enrollment in the younger age groups and the potential need for long-term facility planning. Additional growth in the Southwest Area of Dublin will have an effect on the District. Development in areas south of Shier Rings Road east of the CSX railroad will include a substantial amount of new residential neighborhoods. Portions of the district to the west of the railroad include village-scale residential and mixed uses in the Amlin area with lower density residential to the south and west. As a balance to residential growth, large portions of the West Innovation District are located within the Hilliard School District and will generate significant revenues from office, research, technology and clean manufacturing development. This balance of residential and technology-related uses will help to provide a relatively healthy fiscal balance for portions of the school district in Dublin. Land within the Jonathan Alder Local School District in Dublin’s planning area is relatively small. Sites currently within the corporate boundaries include portions of Darree Fields along Cosgray Road and City-owned land at the southeast corner of Post Road/SR 161 and Houchard Road. Portions that are not municipal parkland are expected for future office, research, technology and clean manufacturing uses as part of the West Innovation District. The district also includes areas north of SR 161 and west of Industrial Parkway that are primarily industrial and agricultural. Expected development will include additional industrial and office uses with residential along the western periphery. At build-out, additional development within Dublin and adjacent areas may result in substantial revenue generation for the district with a limited residential base that minimally increases enrollment figures. In addition to public schools, Dublin area residents have additional private and public education alternatives. The city is host to a wide variety of non-religious and religious-affiliated facilities and institutions ranging from preschool and early learning to middle school ages. These institutions include such opportunities as St. Brigid of Kildare Catholic School and Meadows Academy Dublin. Dublin is also host to post-high school opportunities that augment the educational enrichment of its residents, provided through the local branches of Columbus State University, Franklin University and Ohio Dominican University. 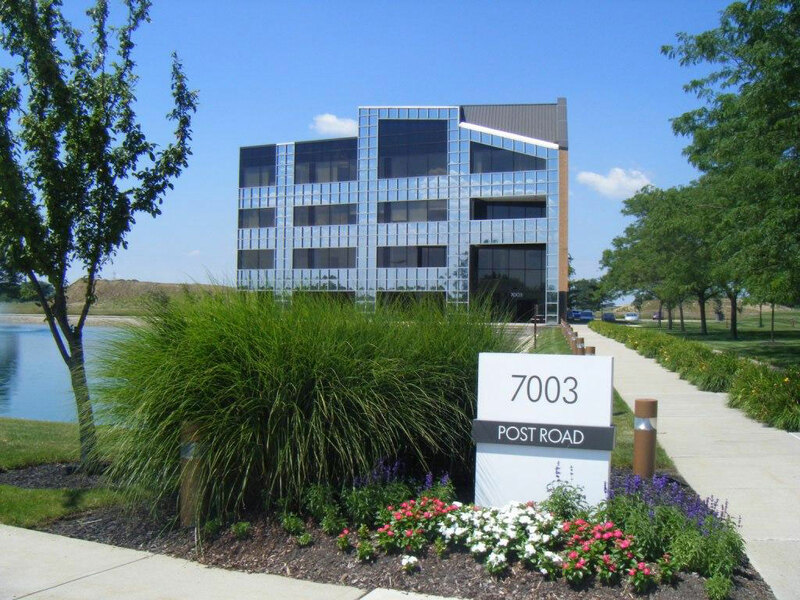 In 2012, Ohio University acquired 15 acres of land and two existing office buildings 7001 and 7003 Post Road within the West Innovation District for the development of the Heritage College of Osteopathic Medicine satellite campus. The City of Dublin helped to facilitate this site selection through donation of 45 acres of land to the university.